It is essential to understand the targeted traffic search engines provide day in and day out can provide real customers for your business. The Neilsen Report states that 91.5% of the traffic generated to websites are through search engines with Google leading at 49.2% and yahoo at 23.8%. You would be generating 73% of your traffic from search engines if you just concentrated on getting to the top of these 2 search engines and we can guarantee that you get there for your chosen key phrases. 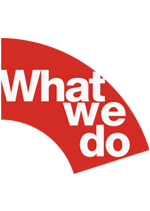 We offer a completely FREE no obligation website analysis. Click here to contact us. If you want to discover the potential of what extra targeted search engine traffic can do for your website and business, please do send us an email with your current website URL. 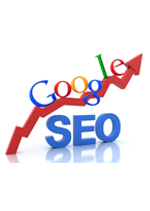 We will get back to you at the earliest on how we will improve your search engine rankings and traffic. at decides the fate of innumerable online businesses that crave to carve their niche in the world of globalisation. However, intense competition online demands a whole lot of efforts on the part of these businesses to reach their target audience. As the Internet user submits a keyword or a phrase in Google, thousands of related websites are thereby displayed that matches his keyword request. At this time, it is quite obvious that the user will explore the sites ranked near the top Google rankings rather than the ones that are ranked on the subsequent pages. This is when search engine optimisation for Google comes into play. Every website that wishes to reach their target audience strives hard to get the top Google ranking by making their website optimised for the search engines. Link building, keyword rich and original content and article marketing are some of the proven SEO techniques that webmasters utilise to gain top position in the coveted Google rankings. Usually, webmasters hire professional SEO companies for this purpose who should be keeping a vigilant eye on the ever changing Google algorithms and accordingly making the required changes in your website so as to attract the web crawlers and help you raise high in the SERPs (Search Engine Result Pages) of Google. Also, in case fortune has bestowed on you the favour of being listed at the first Google ranking in your niche market, this is not enough. That is to say, Google is always on a lookout for updated and original content and constantly playing with its algorithms. So, in order to maintain that top Google ranking, you also must update your site constantly. Nonetheless, it is imperative to note that Google doesn’t appreciate unethical optimisation techniques such as link farms and others. So, websites that are found to gain high rankings by such unethical methods are immediately penalised and at times are even banned from the search engines. We will help you make the best and most cost effective choice for your needs.